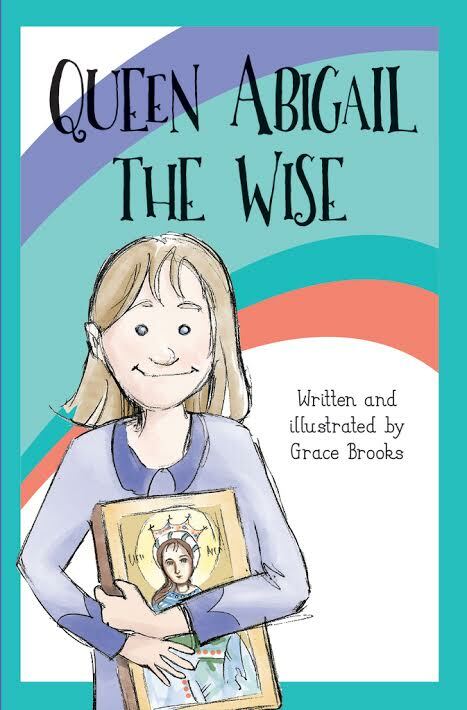 Two recently published books, Queen Abigail the Wise and Vanessa the Wonder-Worker, are helping to fill a gap in Orthodox Christian fiction for “tween” readers between the ages of 9 and 12. Bookended by heavily illustrated readers for toddlers and serious tomes about dating for teens, the world of Orthodox Christian fiction hasn’t had much to offer tweens. But the new series of chapter books from author/illustrator Grace Brooks, a parishioner at Saint Paul Church, Las Vegas, NV, promises to change that, engaging tween readers at an age when crucial long-term ties to the faith are formed. The intersection between Church life and “real life” is fertile ground for adventure to the books’ tween characters who encounter each other at church once a week. They start as acquaintances, become friends and find themselves learning about their faith and themselves in ways that are engaging, thought-provoking and easy for young readers to relate to. In Queen Abigail the Wise, 10-year-old Abigail is having trouble paying attention in church, prompting her priest makes a deal with her. At stake is an icon she knows will help her focus, but to get it, she’ll need help from four other friends. She starts the “Every Tuesday Club” so they can go to work on this and other problems. Over the weeks of Lent leading up to Pascha, her adventure ends up bringing them closer to their faith, their family and each other. In the sequel, Vanessa the Wonder-Worker, 12-year-old Vanessa turns to the Club when her older brother is going through a crisis of faith. Vanessa must learn how to express matters of faith in ways that a skeptic can understand, and she gets help from a pious stranger who seems to just know things. If Vanessa wants to find the miracle she’s looking for, she will have to learn more and confront her own desires to be successful in the world. Both books have enjoyed strong reviews in the Orthodox community, and Grace is planning least two more volumes in the series. Both volumes are available on Amazon, as indicated below. Wholesale pricing is available directly from the author for orders of three or more copies. Order at the links below or by calling the author directly at 816-985-0305. Bulk price (3 or more) from the author: $10 plus shipping. Additional discounts are possible for orders of 10 or more. This entry was posted in News and tagged Archpriest John Dresko, Grace Brooks, NV, Orthodox Christian, Saint Paul Church by Orthodoxy Cognate PAGE. Bookmark the permalink.